Had a customer pay you upfront for an entire year of work? 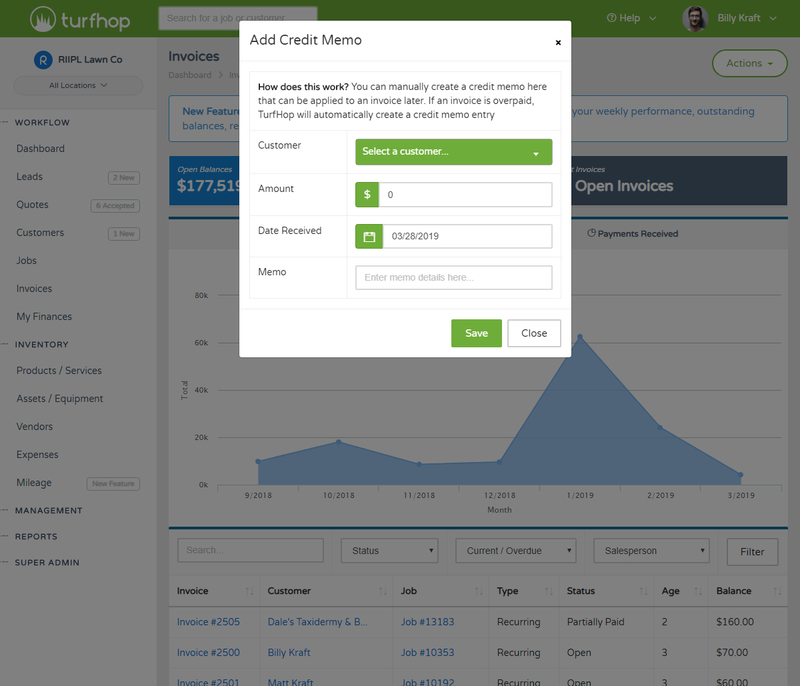 Use the new Credit Memo functionality to add a credit to a customer account and then apply that credit towards future invoices. Credit memos can also be automatically created if your customer overpays for a particular invoice. 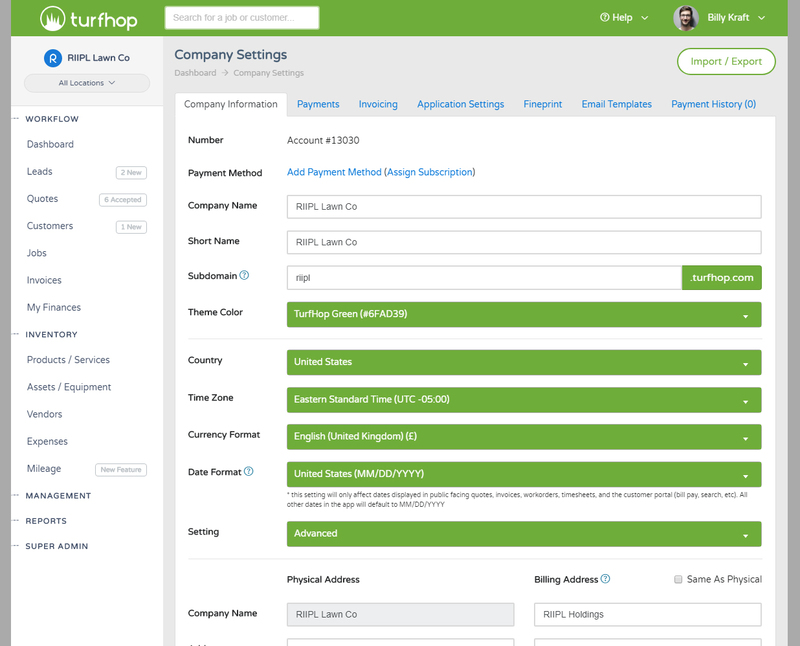 TurfHop will automatically update the customer's credit balance to reflect accordingly. For example, you invoiced your customer $100 for a single cut, but he went ahead and paid $300 to cover the next two cuts...you can record the $300 payment and it will credit your customer $200. To view overpaid invoices, simply navigate to your customer and scroll down to the "Credit Balance" section and click "View Overpaid Invoices." This will give you a breakdown of overpaid invoices, and how they were credited to the customer. 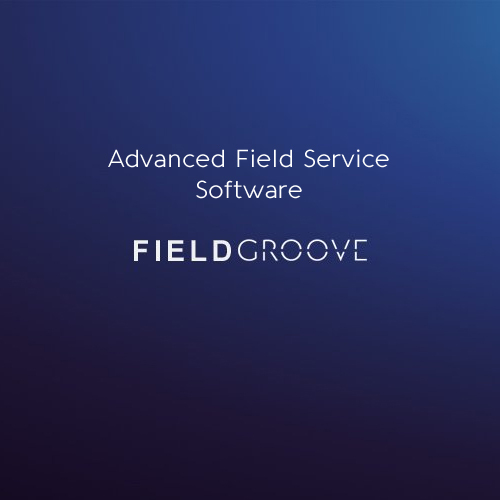 So your customer has overpaid and you now have record of it, next up...how do you apply it towards a future invoice? This is silly easy. When recording a payment to any invoice, you'll notice at the top of the dialog that we display the available credit balance that you can apply. Simply select "Customer Credit Balance" as the payment method, and it will deplete the credit balance accordingly. If you need to see how your "Credit Memos" were applied? You can navigate to your customer, click "View Credit Memos" and then you'll see a link to "see how" credit memos were applied. This will give you a breakdown of payments that you recorded to pull from the credit balance. That's it! Hope this helps, and please reach out to us with any questions! 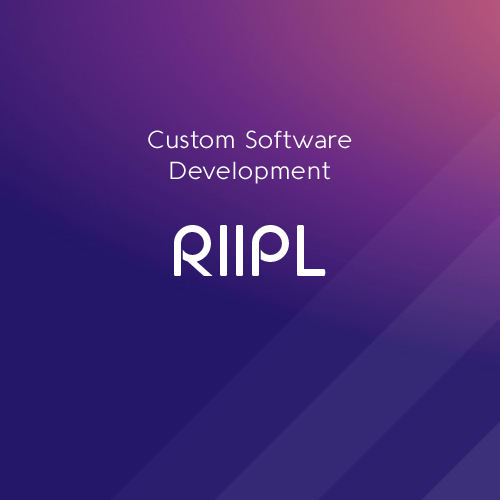 Easily set your country, timezone, date format, and currency format if you are operating your business outside of the United States. Just navigate to your company settings to get started. 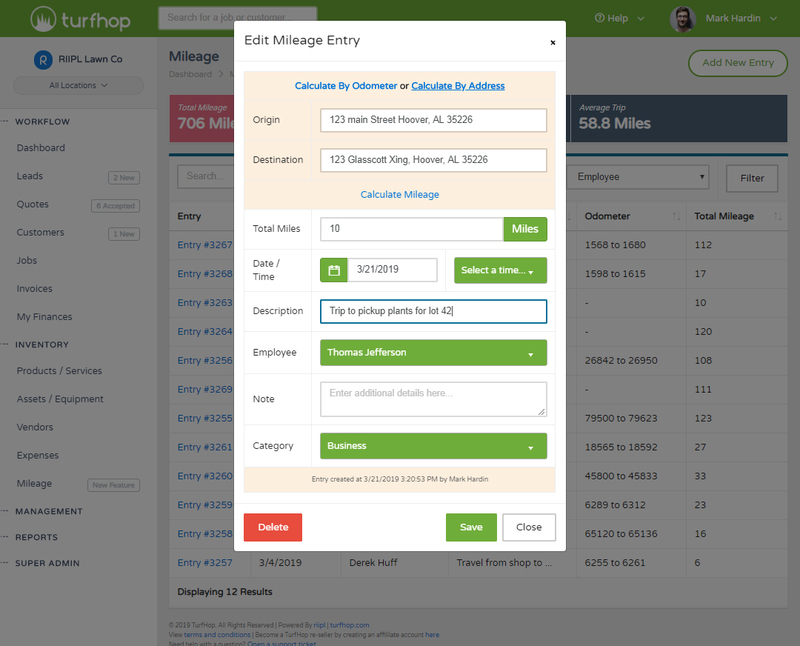 Want to create your own invoice number sequence? Easily set this in your settings by going to Management > Company Settings > Invoicing Tab. 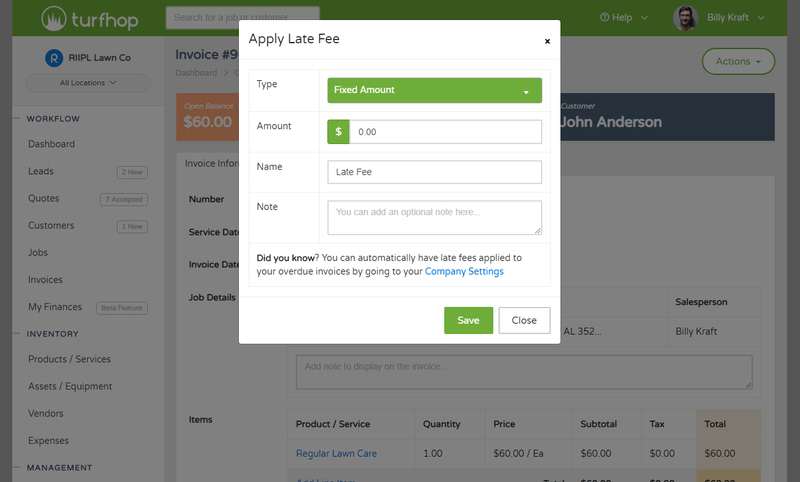 Quickly and easily apply discounts and late fees to your invoices. 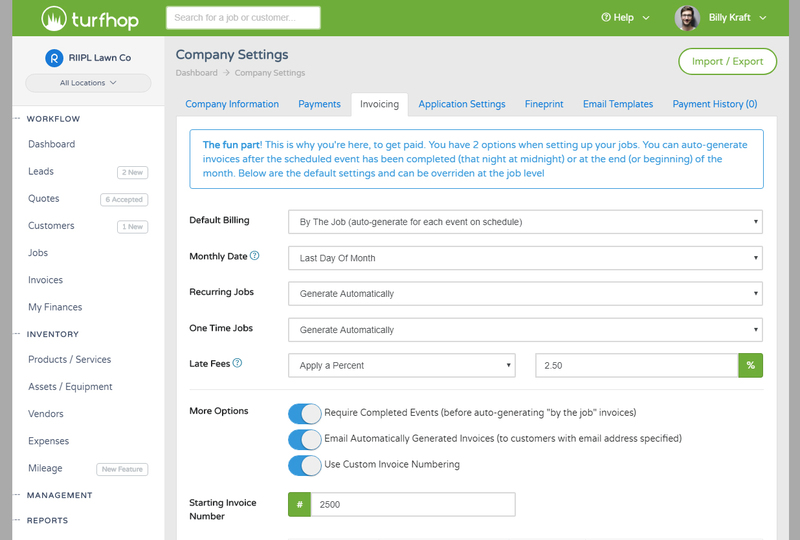 If you need to automatically apply late fees to overdue invoices we have a new setting for it in your Company Settings > Invoicing tab. 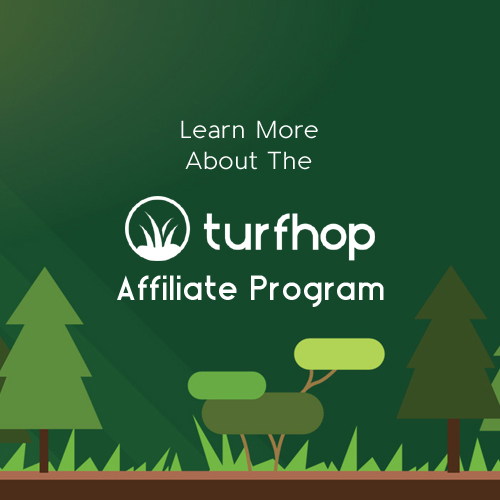 TurfHop is loaded with features we know you'll love. 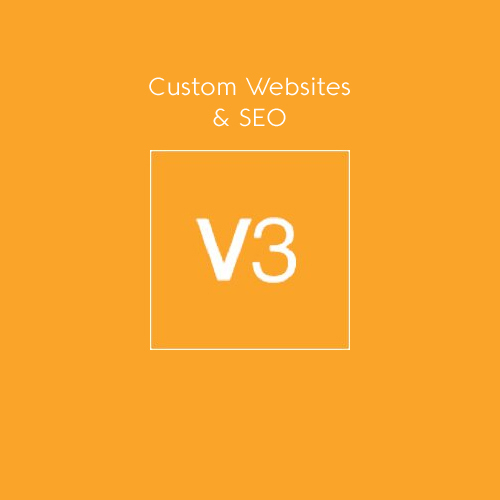 Scheduling, invoicing, marketing campaigns, reports, and so much more. Ready to get started?